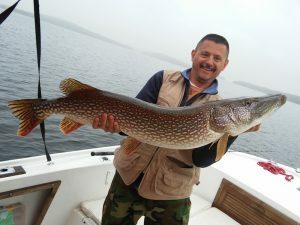 Attack of the Monster Pike! 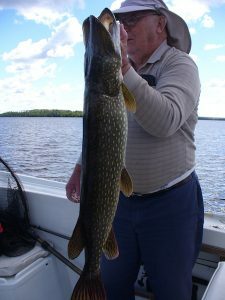 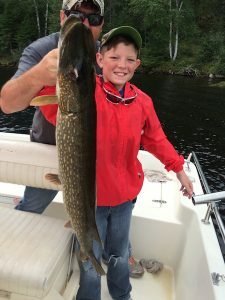 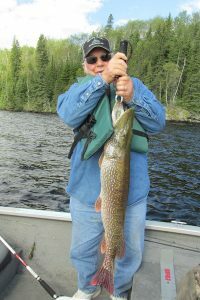 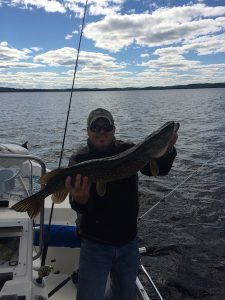 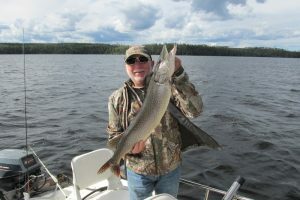 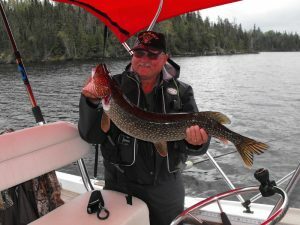 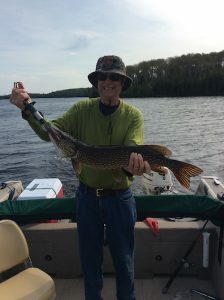 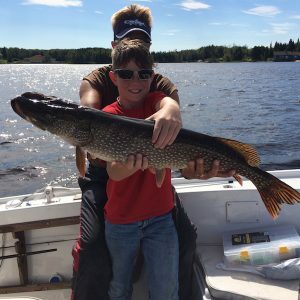 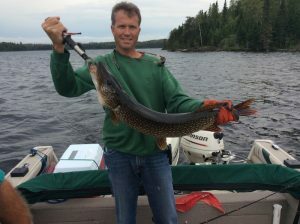 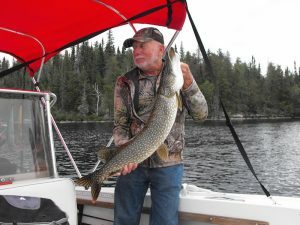 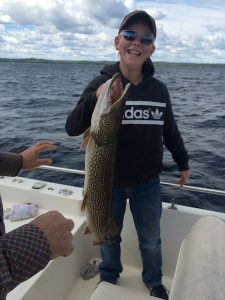 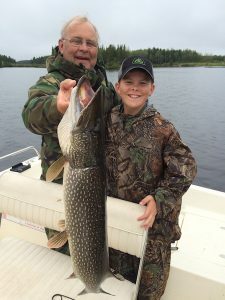 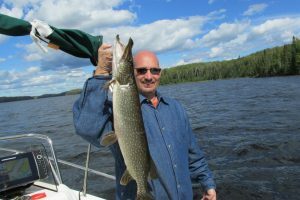 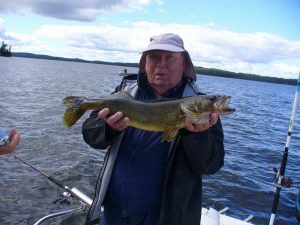 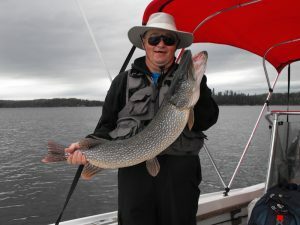 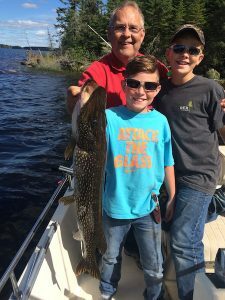 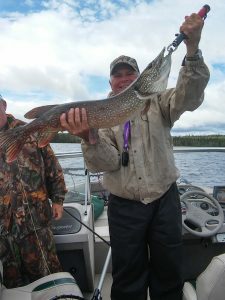 The Northern Pike fishing proved excellent last week on Red Lake as evidenced by the pictures below. 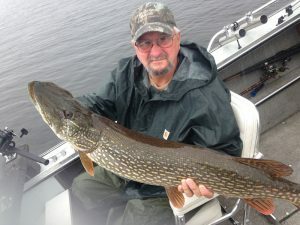 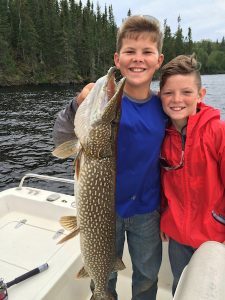 We saw the biggest two pike of the season – 45″ and 43.5″. 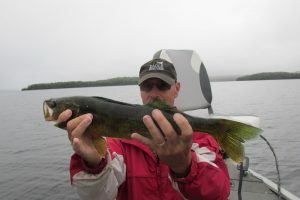 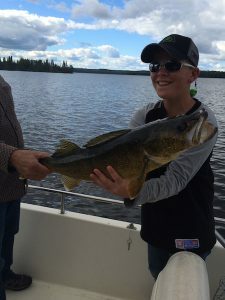 We also saw the 3rd 29″ walleye of the season released, resulting in a three-way tie on the leaderboard. 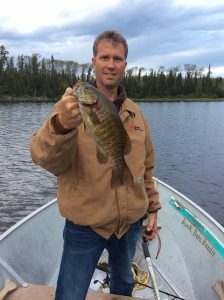 I haven’t had time to compare notes with the catch and release board to match up all the sizes to pictures, but I labeled the ones I knew off the top of my head. 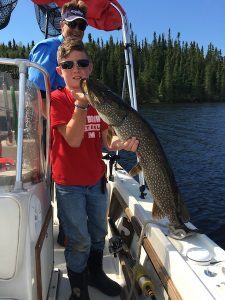 The 2016 edition of the Eagle Falls boat naming contest will start tomorrow (Sunday). 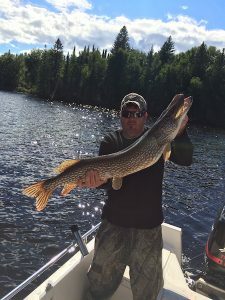 Check back for details on how to vote!